Torino will begin the 2013/14 Serie A campaign with a home fixture against newly promoted Sassuolo on either the 24th or 25th of August. 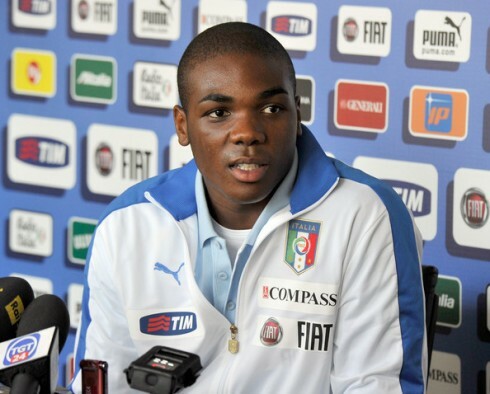 Former Toro defender Angelo Ogbonna will not have long to wait to face his old teammates, as the Granata face Juventus at home in week 6 at the end of September. The second 'Derby della Mole' of the season will be played at the Juventus Stadium, and will take place in mid-February. The Granata will finish the season with a tough fixture away at Fiorentina, with the Viola likely to be challenging for a Champions League spot as they were last season. The full list of fixtures for the upcoming season can be found here. Torino have made two more additions to their squad after completing the signings of striker Ciro Immobile and Omar El Kaddouri. Immobile has signed on a co-ownership deal after Juventus purchased the remaining 50% of his contract from Genoa, and then immediately sold it to their city rivals. The twenty-three year old made his name at Pescara during the 2011/12 where he was the Serie B Capocannoniere after scoring a remarkable 28 goals, including three against Torino. The Granata have also completed the signing of Belgian-Moroccan trequartista Omar El Kaddouri on a loan deal from Napoli. Like Immobile, El Kaddouri is another talented youngster who has excelled in Serie B, but has of yet has not been given much of an opportunity in the top flight. Toro have also announced the departure of winger Alen Stevanovic, as the Serbian international has joined Palermo on loan. Defender Angelo Ogbonna has finally completed his long awaited move to Torino's city rivals Juventus for an initial fee of €13m. As Torino fans we knew that this day would be inevitable, and that Ogbonna would one day move on to a club with more potential of winning trophies, but unfortunately that club has turned out to be Juventus. The Italian international is probably already regretting a comment he made in a 2011 radio interview when he proclaimed he would 'never' sign for Juve, and I doubt that will endear him to fans of his new club. Whilst I am extremely disappointed that Ogbonna has joined the likes of Gianluca Pessotto and Federico Balzaretti in leaving Toro to sign for Juventus, that blow is somewhat softened by the fact the Granata have received an extremely fair transfer fee for the player - especially considering the fact he had a disappointing campaign whilst in a Torino shirt last season. That being said, and has much as I hate to admit it, I do believe Angelo will be a success for the bianconeri, and he certainly does have the attributes to improve the Juventus squad, and still has a lot of potential to improve further. The €13m (that could rise to €15m) that Torino have received will go a long way to improving the squad for next season, and one hopes that President Urbano Cairo does decide to spend this money, and continue the club's promising transfer policy of this summer. It will also be interesting to see what sort of reaction Ogbonna gets when he returns to the Stadio Olimpico wearing a Juventus shirt. Because whilst unlike the aforementioned Balzaretti, he was not born in Turin, or raised a Torino fan - one probably does expect a little bit more loyalty from a player who has been with the club since he was fourteen years old. Torino have completed the signing of experienced defender Emiliano Moretti from Genoa on a permanent contract. Moretti, who can play as a left back or a central defender, has had spells at Bologna, Juventus and Valencia in his career will had some more depth to the Toro backline. It is expected that Moretti's former team mate Ciro Immobile will be signing for the Granata in the next few days, with Torino still looking to replace departed captain Rolando Bianchi. 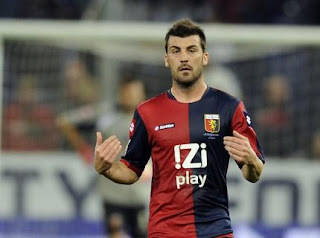 Torino have re-signed Cesare Bovo from Genoa on a permanent contract, and the experienced defender will likely be the replacement for Angelo Ogbonna whose move to Juventus is almost imminent. Bovo previously signed for Torino on loan in January 2007, and despite only making seven appearances, he helped the Granata avoid relegation. In other transfer news, Matteo Brighi, who impressed whilst on loan at the club last season has signed on a permanent contract, and Salvatore Masiello has also renewed his contract. Torino have made their third acquisition of the summer by completing the signing of talented youngster Nicola Bellomo from Bari on a co-ownership deal. Bellomo rose to prominence in the 2011/12 campaign by scoring a sensational 50 yard goal against Pescara, and the trequartista followed that up with another impressive season last year as he scored six goals in thirty-five games for the Puglian side. Toro have apparently paid Bari almost €1.5 million for 50% of the 22 year old, with the other half of the player belonging to Serie A rivals Chievo Verona. In other news, highly rated goalkeeper Alfred Gomis has joined Serie B side Crotone on loan for the upcoming season.